Next Wednesday evening, October 11th, Common Cause in Wisconsin is holding its second town hall/public hearing entitled "Access to Justice." This event is free and open to the public, and will take place from 6:30PM to 8:00PM at Marquette University Law School in the Appellate Courtroom (Main Level) - 1215 W. Michigan St, Milwaukee, WI. You should attend this event because Wisconsin is considered among the four worst states in the nation in terms of the strength of our recusal standards for judges receiving campaign contributions. Wisconsin's current state recusal “non-standard” was written by ultra-conservative special interest group, Wisconsin Manufacturers & Commerce, in 2010. It essentially states that judges may decide for themselves whether to recuse in a case involving a donor or special interest group who contributed to them! This past April, the Wisconsin Supreme Court discussed in “open conference" a petition by 54 retired Wisconsin judges to establish reasonable thresholds for recusal of judges at all levels when they receive campaign contributions from a defendant or plaintiff – or if they benefited from spending by an “outside” special interest group involved in a case before their court. Incredibly, the State Supreme Court voted 5 to 2 to reject this petition, and the Court did so without any input from the public. With a Wisconsin Supreme Court election coming up in early 2018 to replace retiring Supreme Court Justice Michael Gableman, it is imperative that Wisconsinites fully understand and raise their voices about this issue – which will be prominent in that election. For more on precisely why stronger recusal rules for judges are urgently needed in Wisconsin, read this excellent analysis by Mary Bottari of the Center for Media and Democracy. And then, please join me and my fellow panelists: former State Supreme Court Justice Louis Butler, former Milwaukee County Circuit Court Judge Michael Skwierawski, and Marquette Law Professor Ed Fallone at this free event to learn more about this vital issue. Ask questions, share your thoughts – and above all, make your voice heard. We hope you can attend, and bring a friend or two with you! Click here for more information and to RSVP. 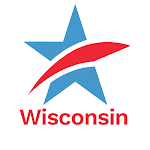 Co-sponsoring this event with CC/WI are the the League of Women Voters of Wisconsin, the League of Women Voters of Milwaukee County and the American Association of University Women-Wisconsin. If you have any questions, please call the CC/WI office at 608/256-2686 or email me at ccwisjwh@itis.com. I look forward to seeing you in person on October 11th! 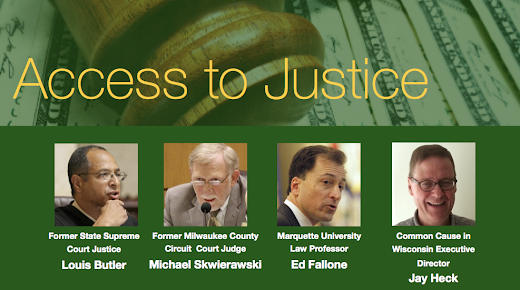 CC/WI to Hold 2nd Judicial Recusal Town Hall Public Hearing: Oct 11th at Marquette Law SchoolTweet this!